We often forget the powerful healing properties of touch. Ongoing health issues and treatments can be invasive and uncomfortable for patients. Help them experience a different kind of treatment by providing a relaxing medi-facial. The nerves in our skin are a direct link to our brain where hormones are released like adrenaline or serotonin relative to a strong or soft touch. A gentle facial massage can lower cortisol which causes stress, increase the "feel good" hormone dopamine, boost immunity and increase circulation. Long term effects of treatments such as chemotherapy and radiation leave the skin dry and often sensitive. Special care needs to be taken when performing a facial for these individuals. The Healing Touch Medi-Facial will help you to safely provide a facial treatment while incorporating the benefits of facial massage. At the end of the treatment, be sure to moisturize their skin to help combat the dicomforts and appearance of dry skin. The perfect choice for hydration is Quench. Quench is a moisturizing formula that feels light on the skin while providing healing benefits. It uses moisturizing factors and lipids naturally found in the skin that hydrate, protect and activate skin repair. 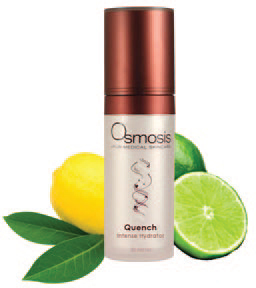 By restoring the epidermal barrier, Quench makes the skin healthier and better able to protect against UV radiation. The organic shea butter used in Quench is a combination of essential fatty acids that nourish and moisturize while providing anti-inflammatory benefits. Squalane, a lipid with antibacterial properties, also helps to fortify the lipid barrier. Quench is not only an amazing moisturizer that uses line and lemon essential oils for a nice citrus scent but has anti-aging benefits with the peptide Chronoline. Help provide a different form of treatment for your clients that have been undergoing care for cancer or other serious health issues. You'll allow them some much needed "me" time, a break away from stress, nourishment of their skin and a "feel good" chemical release from their brain. As a skin care professional, ou can do more than help a patient with their skin ... you can help provide the healing power of touch. For details on our Healing Touch Medi-Facial, visit our website. The written protocol can be found in our Resource Center under protocols and there is a webinar available in our archive demonstrating the Healing Touch Medi-Facial. Fun Fact: Did you know that some countries have used shea butter (found in Quench) to help aid in pain management? "I love Quench and Shelter and recommend them to all my clients. Quench really helps bring hydration and comfort back into dry, compromised skin and Shelter is a "must have" for every client. 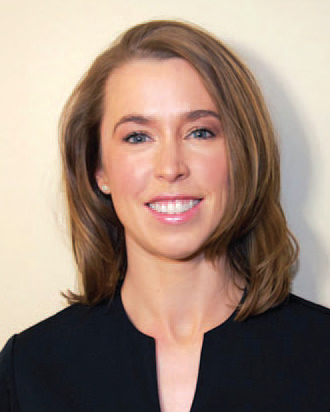 I work with cancer patients and love having products that can be used safely on all types of compromised skin conditions."